10. Myth: It would be chaos. Truth: There’s no evidence to support this myth. It’s a supposition. People imagine that without a government to enforces its edicts by violence, everyone would just run around without any regard for anyone else. This is silly just writing it. People create order, not governments. People cooperate to survive and thrive. Governments are the usual culprits of chaos in society. This is true because they enact legislation that benefits some while hurting others and then enforce that legislation with violence. This is blatantly unfair, hence the chaos created. There is more chaos with government than without. 9. Myth: Anarchists are just a bunch of hooligans who destroy other people’s property. Truth: There are groups of people who do that. Sometimes the media calls them anarchists. Sometimes the group calls themselves anarchists. These people aren’t anarchists in any real sense of the meaning. 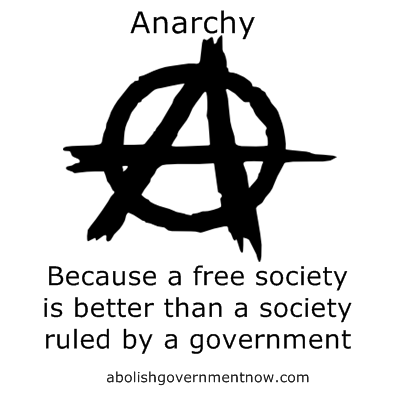 Anarchy simply means “the absence of government”, sometimes described as “without rulers”. There is no correlation between having no ruling class and destruction of property. Destruction of others people’s property is a crime. It has nothing to do with anarchy. Crime will be addressed further down. 8. Myth: Anarchy proposes no real solutions. Its advocates only say government is bad without proposing solutions. 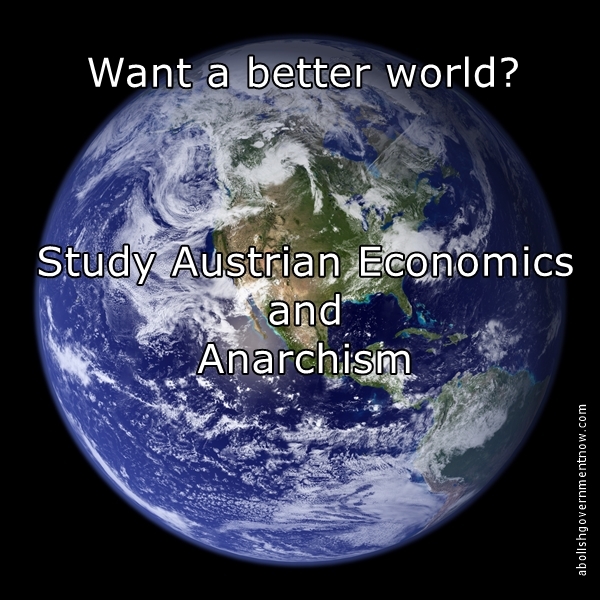 Truth: Anarchists offer many solutions. Read this website. Read others websites. We offer evidence. We use reason and logic when there is no direct evidence. We explain when there is no solution visible to a problem our only viable path is to follow a moral compass. That moral compass being don’t use the force of government to attempt to solve problems. People simply refuse to think about our proposals. 7. 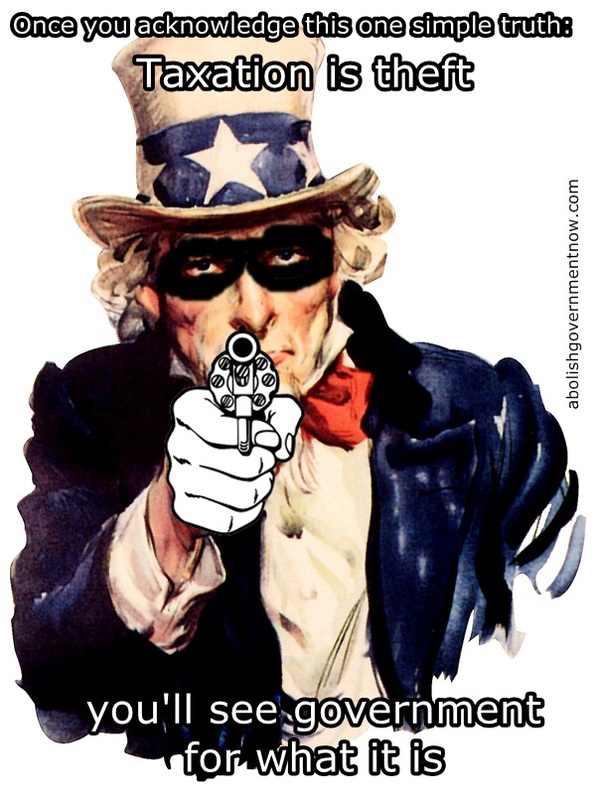 Myth: The crime rate would skyrocket without a government. Truth: This is a valid concern. In people’s imaginations without a government there would simply be no punishments for people who commit crimes. This is not the case at all. Stateless societies would develop mechanisms for punishing criminal behavior and the deterrent effect that has. Real criminal behavior (theft and violence). I’ve written an article here that goes into much more detail as to why a stateless society’s crime rates will actually go down not up. 6. Myth: No one would build the roads. Truth: Roads would get built by lots of different people and groups for lots of different reasons. There has been a lot written about roads in a stateless society. I will be doing a summary of the roads issue in a future article. Also, why do people assume the current roadway systems is the ideal system? Governments do not innovate. Once the roads are wrestled out of the monopolistic hands of the government, innovation will explode including personal air travel and lots of mini airports. This is also a future article. Truth: The power of corporations comes from government and nothing else. People often think money is power. That’s not the case. Money buys power. The power comes from government. Abolish government and the power is gone. Couldn’t corporations with lots of money create armies and steal property, like oil fields for instance? No. For two reasons. 1) Armies are expensive, the corporation will go broke maintaining an army and trying to compete on the free market. 2) The people seeing the criminal activity of the corporation will boycott the corporation thus making it go broke. I don’t care how much oil you have, if no one buys it you’re just sitting on a pile of oil. Once the corporation goes broke, the criminal punishment mechanism of the free society punishes the members of the corporation. This concept is thoroughly explained here? 4. Myth: Foreign governments will conquer the people of the stateless society. Truth: If the stateless society was very small, that’s possible. In order for any government to rule a population, that population must believe the government has the right to rule them. 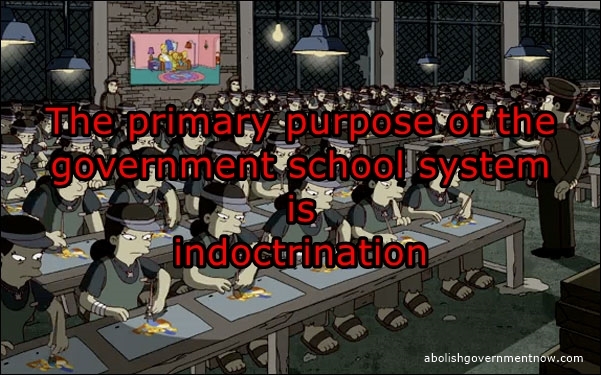 (Subsequently, that’s why governments go to great lengths to indoctrinate the children in government education facilities). Imagine a stateless society of millions of people. These people do not believe in the legitimacy of any government. It would be impossible for a small group of people from a foreign government to conquer and rule them. Remember only a small portion of any government consists of soldiers. It can’t be any larger due to economics. The more soldiers a society has the less people there are supporting those soldiers economically. Constant war and a large military has been the ruin of many an empire. The Vietnam war is a historical example of why a foreign government couldn’t conquer a large free society. The U.S. had roughly 500,000 soldiers there at one point. The U.S. also had an incredible technological advantage. And lost. Today the U.S. is the largest military, by far, on the planet and has just over 1 million soldiers. Are those 1 million soldiers going to conquer a geographic area of hundreds of millions? 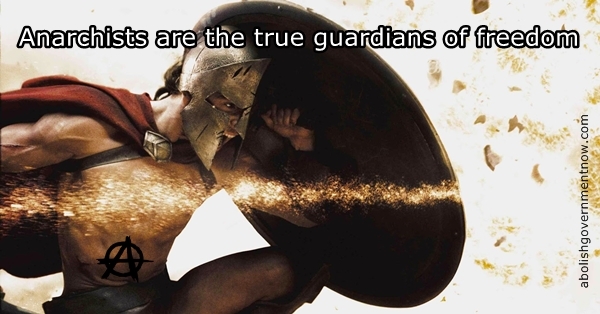 Especially when those hundreds of millions see all governments as illegitimate and will fight back. A more detailed explanation here. Same as why a corporation can’t take over. 3. Myth: Markets need government regulation. Truth: Free markets are self regulating. There has been so much written about free markets, I’m not going to go into details here. Markets do not need government regulation. Governments do not help markets, they hurt them. 2. Myth: There would be no money. Truth: Governments are the worst providers of money. They are the biggest abusers of the money supply. Printing money at will. Stealing the value through inflation from the citizens who have been forced to use it. Gold and silver arose as money through free markets thousands of years ago. It has stood the test of time. It will be money again. It will be the money of a free society. Read more on gold here and here. 1. Myth: There would be no way to establish ownership of property. Truth: Anything that should exist, will exist in a free society. Private property and property rights will exist in a free society. Free markets provide solutions to everything imaginable. There is plenty of evidence on this one. In communist countries people establish private property rights outside the official government rules/laws. Black markets arise everywhere there is government oppression. This even includes real estate. Under the harshest conditions where it’s forbidden by government, people establish private property and private property rights. Here’s a snippet from an article from CNBC describing Cuba’s real estate black market. Click to read full article. Private property is inevitable, even Cuba realizes that. Think about New York and its rent controlled real estate market. People go around the law establishing property rights outside the “legal” channels. In a free society, it won’t be a black market. It will be free and open and immensely more secure.